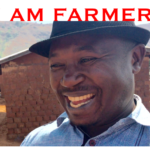 Untitledtown – Meet Environmentalist Farmer Tantoh! 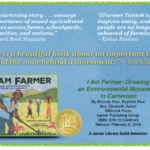 Cover Reveal for I AM FARMER, and more August news! 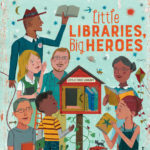 Take a break from the ALA Conference bustle and enjoy the company of dynamic picture book creators Josh Funk, Camille Andros, Lita Judge, Miranda Paul, and Baptiste Paul! 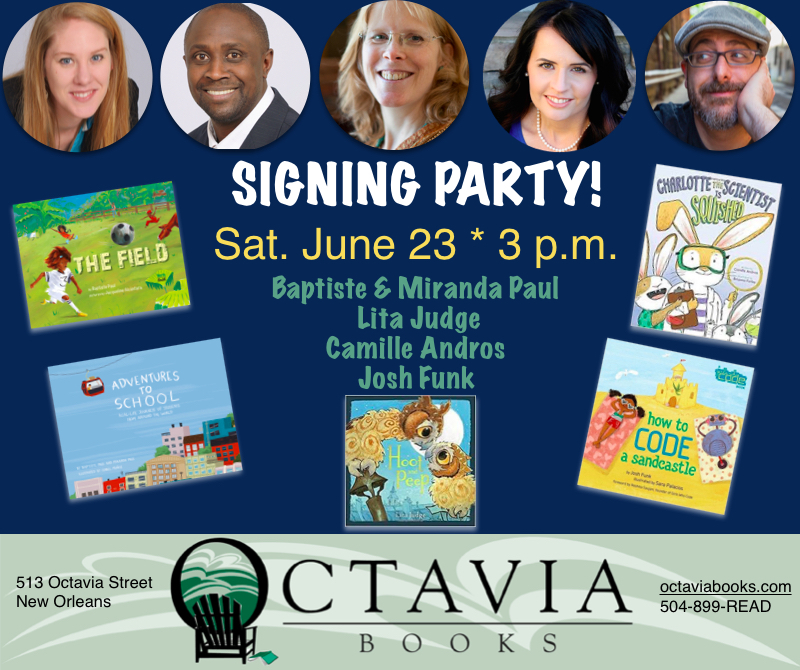 Join them at 3 p.m. on Saturday, June 23 at Octavia Books, recently voted New Orleans’ best local independent bookstore! 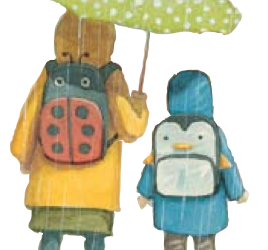 Miranda and Baptiste Paul will be signing copies of their new book, Adventures to School, and Baptiste Paul will be signing copies of his multi-starred debut, The Field. 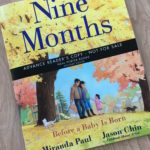 A short storytime at 3 p.m. will be followed with an autograph session and lots of fun. To ensure you’ll get a signed copy, you are invited to pre-order the book(s) of your choice by calling the bookstore at 504-899-READ (7323). The event is free and open to the public. All ages welcome!